The ways she sleeps is just so cute! 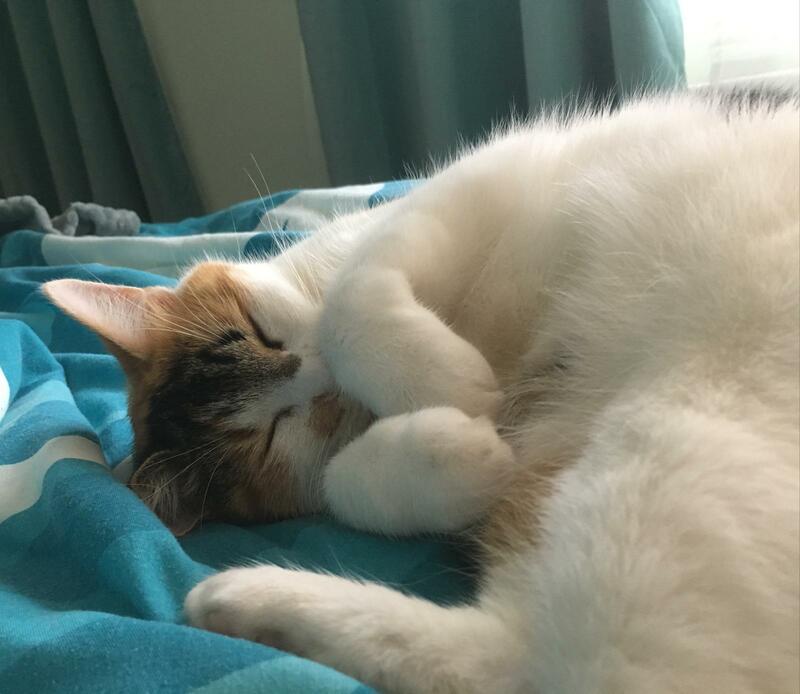 My calico sweetheart, Peak. Finally a lap cat after abuse as a kitten and three years of cautiously getting comfortable with me. We cuddled for 40 minutes straight today. This is Dovah. She’s pretty great.